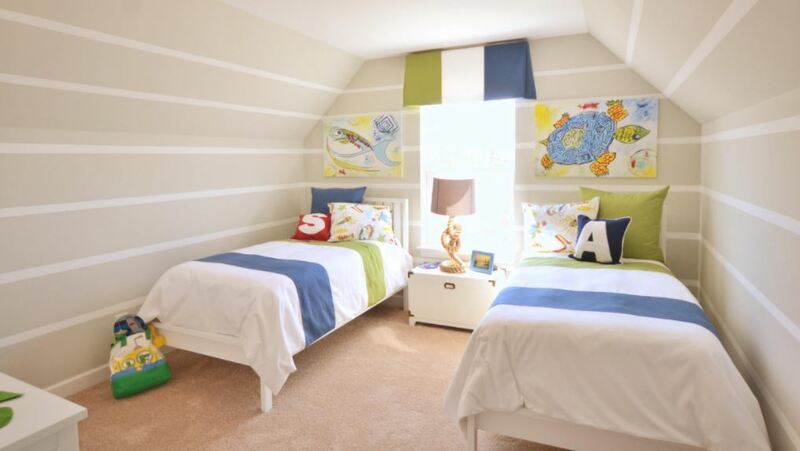 Here are some cool kids room design for two kids. Take a look at them and get ideas on children room. 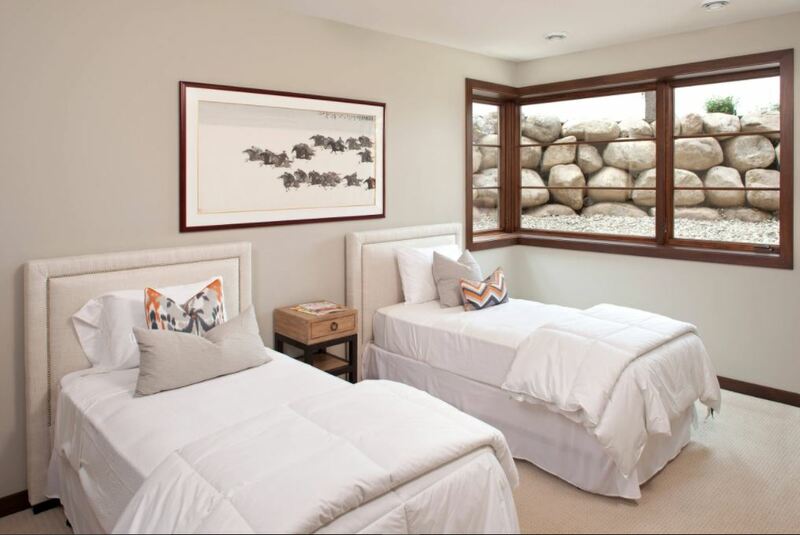 It is not easy to design a shared bedroom for kids as each one needs their separate space and privacy. They are very particular of their likes and dislikes. But, don’t worry as you got help. 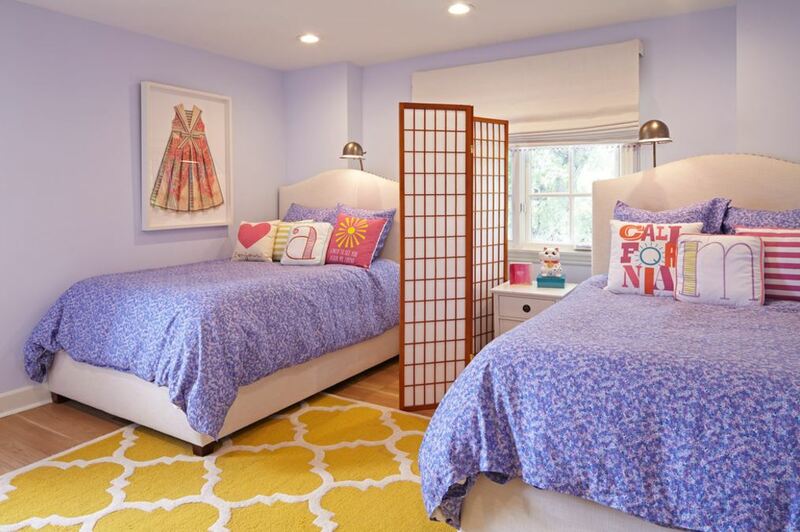 Check out these shared kids room design and plan one for your own house. 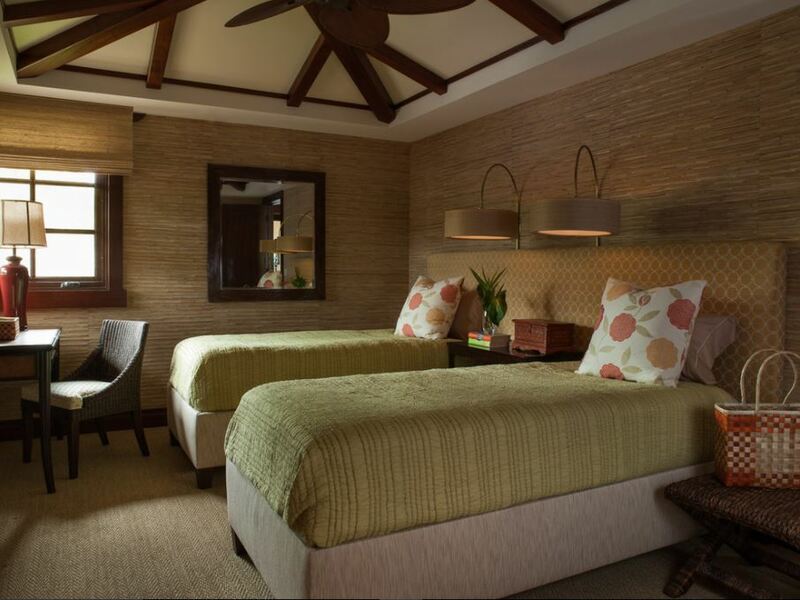 A lovely tropical shared bedroom for kids! The room is beautifully done using a natural palette. It’s a nice room; looks perfect for teenage kids. The yellow rug with geometric pattern ties up this room together. 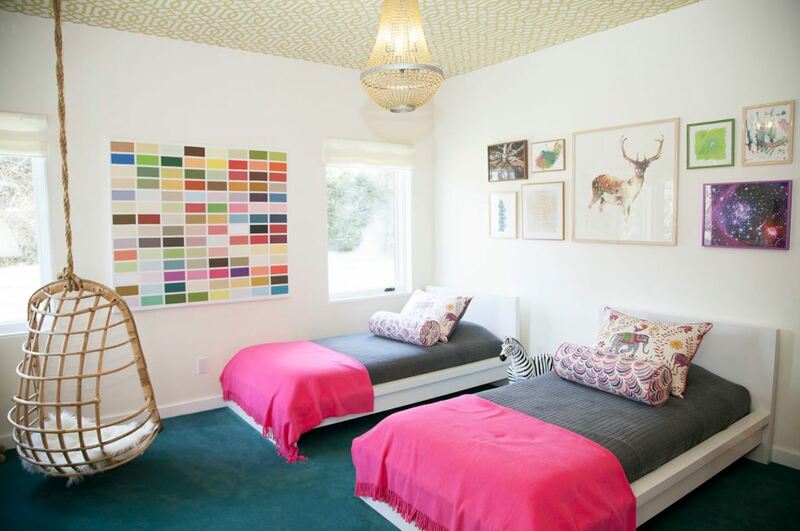 Kids would love to stay in this bright bubbly room; it kind of lifts the mood. 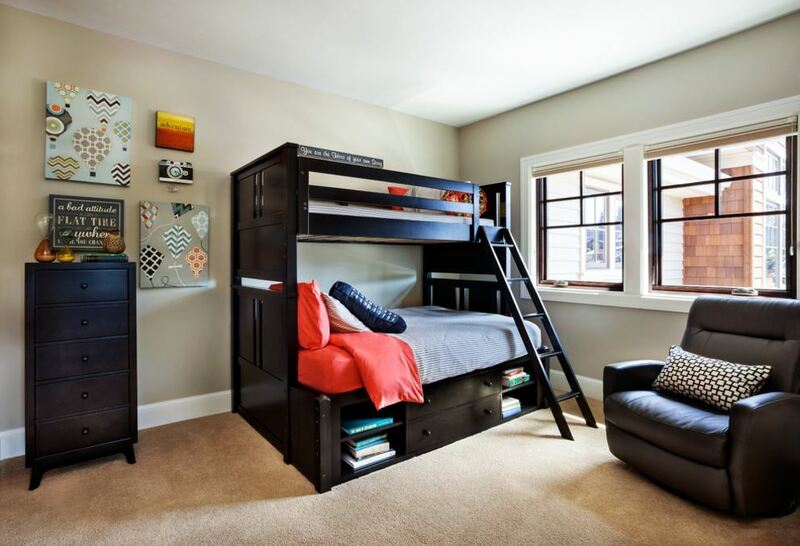 A bunk bed can help you save some serious space in the kids room. This is a handsome room for boys with a five drawer chest on one side and a sofa on the other. Here is a very simple way to arrange two beds in one small room for kids. I love this clean kids bedroom design with an awesome headboard. In this one the kids aren’t sharing the room alone; but they are also sharing the same headboard. Instead of side tables just add a dresser in between. Check out this amazing bedroom idea for kids. It has a built-in bunk bed at one end. Add a lot of drawers for storage at the bottom. Sisters are more like friends to each other. Here they have the privilege of living together and building up several childhood memories that they will cherish later. If you have two children then this is a great kids bedroom design idea. 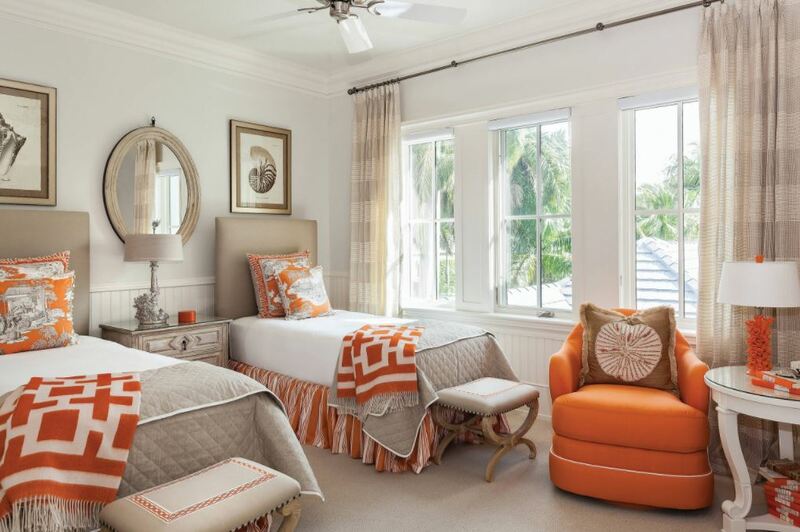 This is neutral room with bright orange colored accents. 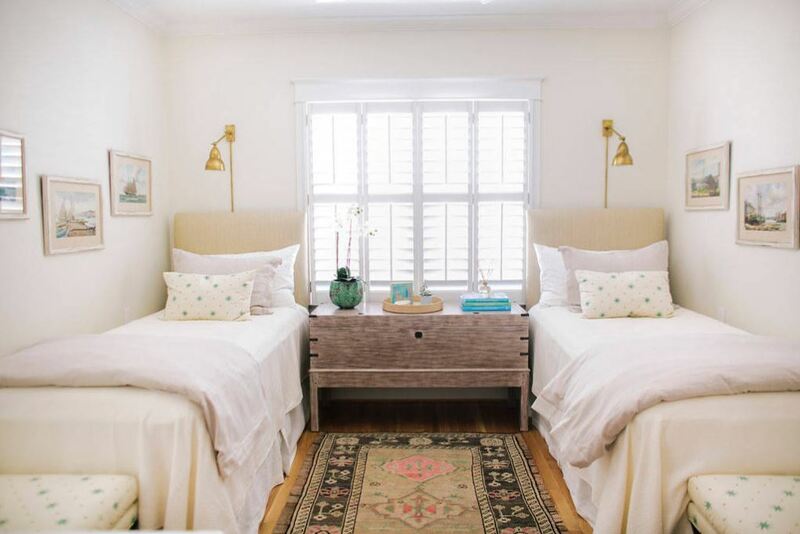 The simplicity of this kids room design for two kids is worth noticing. The set-up looks quite comforting for them. Add throw pillows with alphabets that spell their name. 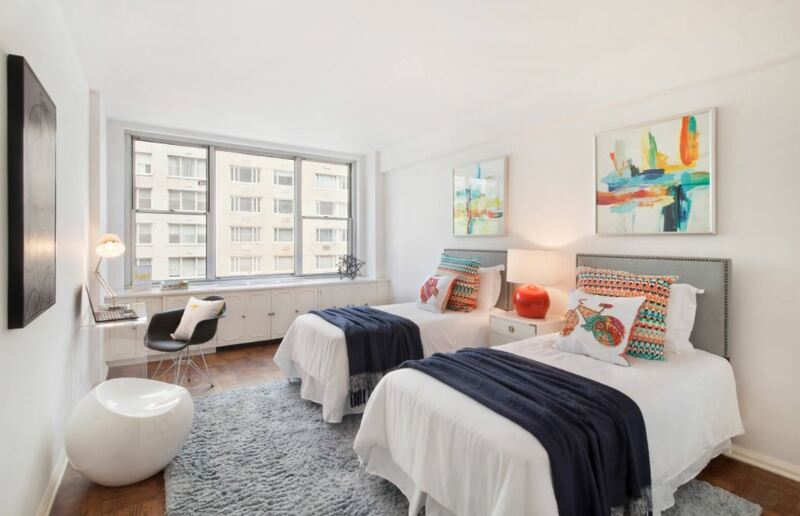 This is basically a white room that is decorated using carpet, paintings, throws and pillows. It is well lit and has ample storage space. Get ideas in how to design and decorate a small kids room. The mantra is keeping it simple and neat. And, use a light color scheme. Add a few unique pieces to set your kids bedroom apart from others. I love the idea of having a hanging chair which I’m sure the kids of any age would love. What a lovely room! 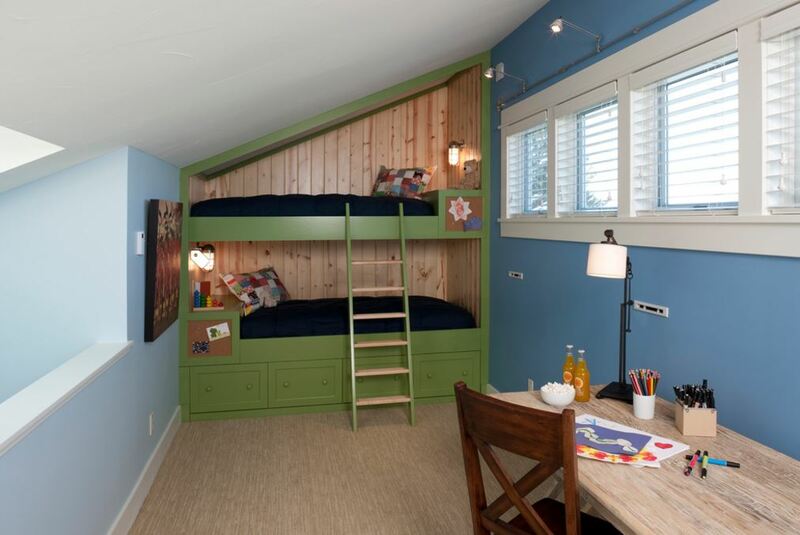 This is a very smart kids room design for two kids. 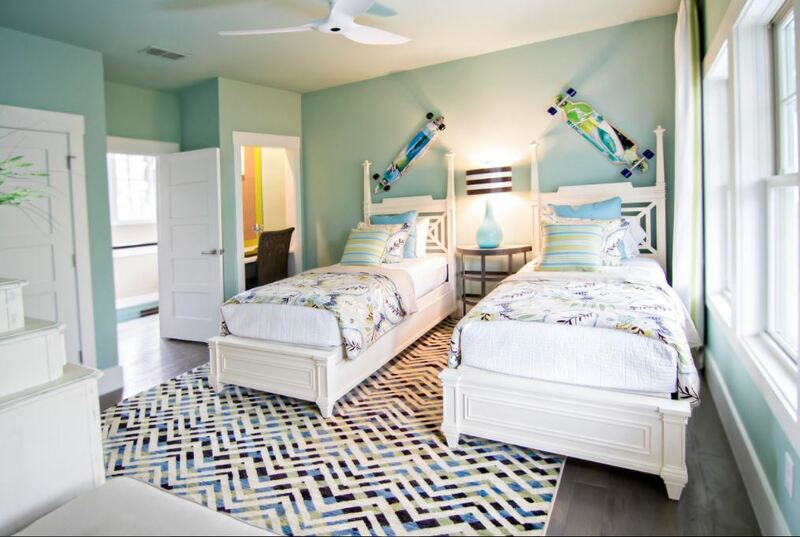 Add skateboard on the wall behind the bed. Place two beds along the wall and place a table in the corner. 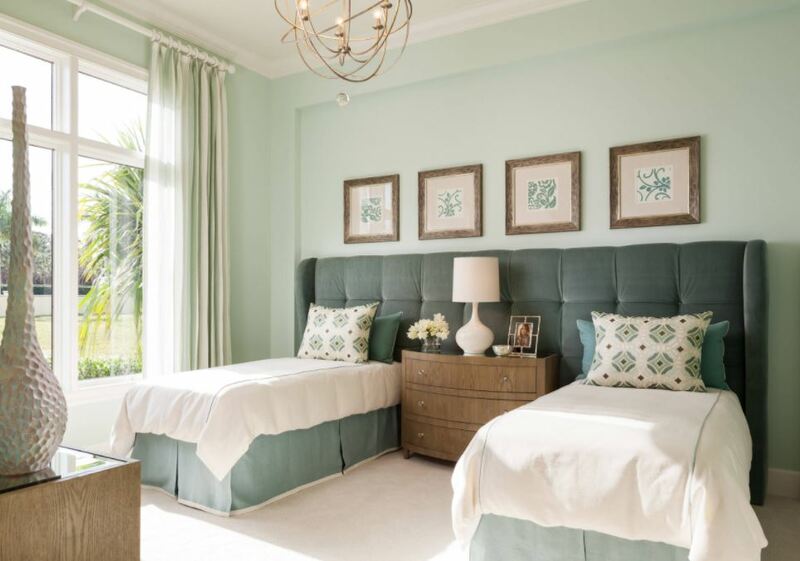 I love the color scheme of this girls bedroom design. The room looks really cute and girly. 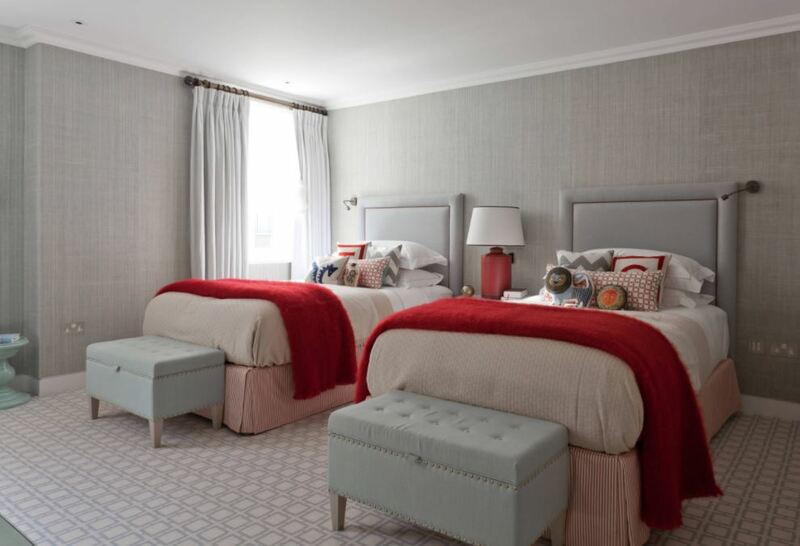 Go for a red and grey color scheme to get this gorgeous looking kids bedroom. This entry was posted in Kids Room, Kids Room Designs and tagged How to Arrange 2 Twin Beds in Small Room, How to Fit Two Twin Beds in a Small Room, Kids Bedroom, Kids Bedroom Design, Kids Bedroom Designs, Kids Bedroom Ideas, Kids Bedroom Ideas for Small Rooms, Kids Room, Kids Room Design, Kids Room Design for Two Kids, Kids Room Designs, Kids Room Ideas, Shared Bedroom Ideas, Shared Bedroom Ideas for Brother and Sister, Shared Bedroom Ideas for Brothers, Shared Bedroom Ideas for Sisters, Shared Bedroom Ideas for Small Rooms, Small Shared Bedroom Ideas, Two Beds in One Small Room, Two Beds One Room Arrangements by Homemakeover. Bookmark the permalink.